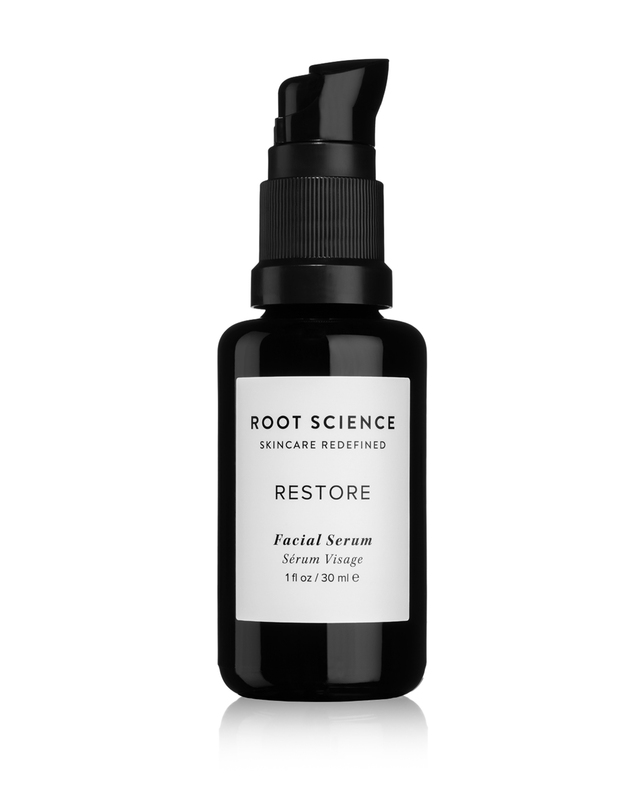 Restore is a potent corrective serum strategically formulated for skin in need of intensive moisture and rejuvenation. Our proprietary blend of 19 nutrient-rich botanical oils deliver an energizing dose of protective antioxidants, restorative vitamins, and plumping fatty-acids, minimizing the appearance of wrinkles and uneven skin tone. This super-charged serum contains a wealth of skin critical vitamins, minerals, ceramides, phytonutrients, omega 3, 6, 7 and 9, including age-defying pro-vitamin A inherent in our top quality Rosehip oil. This potent union of natures purest actives promotes a radiant, smooth and even-toned complexion that is deeply hydrated, nourished and rejuvenated. *Our certified organic skin compatible plant oils provide the purest, most effective, healthy form of moisture, eliminating the need for a traditional facial cream. Our formula is non-pore clogging, fast absorbing and never leaves skin feeling or looking “oily”. A natural source of pro-vitamin A, boosts cellular renewal, collagen production and reduces the appearance of sun damage. Renown for its astonishing healing effect on skin; antibiotic, antimicrobial, antioxidant, and anti-inflammatory properties reduce the appearance of scarring and sun damage. Rich source of Palmitoleic Acid, which decreases in skin with age. Protects skin from environmental stressors, moisture loss, and supports healthy barrier function. A nutrient powerhouse of tocopherols, squalene, fatty acids and sterols, strengthens and nourishes skin’s barrier function. Fatty acids and phytosterols deliver nutrients that minimize the appearance of wrinkles, fine lines and strengthen elasticity. Stimulates circulation and strengthens elasticity, restoring vibrancy and healthy glow. Premium quality oils are sourced raw, organic, unrefined and non-deodorized for maximum nutrient density. Therapeutic grade essential oils are distilled from wild medicinal plants. 19 active + skin loving ingredients are hand blended in synergistic quantities proprietary to Root Science. Tried and tested by real people to ensure optimal skin benefits. Soothing notes of sweet florals and light citrus enchant senses and revitalize complexion. Serum warms in the palm of your hand and nutrients are gently massaged into face and décolleté. Lavish botanicals drench complexion in glow activating vitamins as moisture rich oils quickly absorb, unveiling perfectly primed skin and a new state of health. Housed in stunning dark violet glass for the highest standard in freshness and potency. Concentrated, water-free formula eliminates fillers and preservatives. Pumps instead of droppers reduce oxygen induced rancidity. Violet glass instead of clear prevents light degradation. Purest form of organic + wild crafted ingredients are protected for skin safety and efficacy. 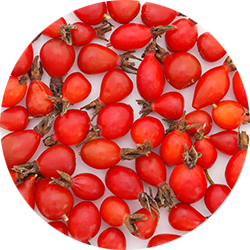 Rosehip oil is extracted from a native rose plant that originally grew wild in Chile and was used as a topical medicinal treatment by the native people for centuries. This age defying oil has recently gained recognition due to scientific studies that have proven its ability to aid in the reduction and prevention of wrinkles and age spots. 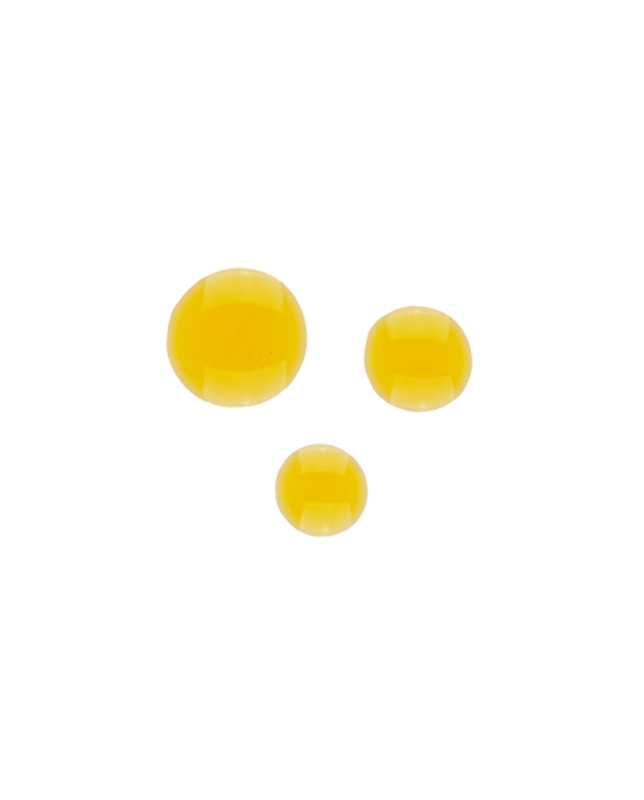 Its high concentration of pro-vitamin A helps increase cell regeneration and boosts both collagen and elastin levels. Rosehip seed oil is also a rich source of essential fatty acids and vitamin E, which aid in reducing the appearance of scarring and wrinkles. Rosa Rubiginosa (Rosehip) Seed Oil*, Simmondsia Chinensis (Jojoba) Seed Oil*, Argania Spinosa (Argan) Kernel Oil*, Macadamia Ternifolia (Macadamia) Seed Oil*, Punica Granatum (Pomegranate) Seed Oil*, Adansonia Digitata (Baobab) Seed Oil*, Opuntia Ficus-Indica (Prickly Pear) Seed Oil*, Vaccinium Macrocarpon (Cranberry) Seed Oil*, Calophyllum Inophyllum (Tamanu) Seed Oil*, Hippophae Rhamnoides (Sea Buckthorn) Seed Oil*, Tocopherol (Vitamin E), Daucus Carota Sativa (Carrot) Seed Essential Oil*, Proprietary Blend of Organic and Wild Harvested Essential Oils, Citronellol, Geraniol, Limonene. This is one serum that I will probably never stop using, and I’m a product junkie. I love almost all of the Root Science products that I’ve used but this one is the best. Just bought a full size and it’s well worth it. A little goes a long way on my aging, combination skin. I use it at night and use Bare during the day. I think it’s lightened some age spots and absolutely has helped with fine lines. Love it! I suffer from dry skin and mild rosacea and my skin always feels soothed and hydrated after I apply this, and I wake up with soft, glowy skin in the mornings. I also recommend their reborn mask (I only use it once a week or so). It’s good stuff and works well in conjunction with the Restore serum. I discovered this product visiting Strange Invisible Perfumes in Venice, CA. As a skin care junkie of a “certain age,” I have tried everything but nothing I have used has made immediate impact on my skin like Restore. Within days I saw an improvement of the tone and texture on my face. If used with the toner, you don’t need that much so the small bottle not only lasts a long time but is perfect for travel. LOVE this product! I love this! I use as my night cream and day moisturizer! Was using another face oil and my face was still parched, but feels so much better now! I came across this serum while reading reviews online for Vintners Daughter (which to me looked similar). I had never heard of Root Science so when one review for Vintners Daughter recommended this instead I had to check it out. First thing that caught my attention is that this is significantly cheaper ($120 compared to $185). After reading a few reviews of the Restore I figured I would give it a try. Shipping was rather quick and came with a few samples (nice touch). I have now been using this serum every day (twice a day) for almost a week now and I am obsessed! If I could bathe in this I would. Prior to using this I was using Boots No. 7 Brand (from the UK) serum, face cream and night cream. I usually keep a stock of products on hand and have a significant inventory of the Boots stuff that I seriously just want to throw out. All I need is the Restore serum and nothing else. As soon as I put this stuff on my face it feels like I am at a spa. I just want to put my hands on my face and smell it for hours. My skin feels moist (but not greasy afterwards). There really isn’t words to describe how much I love this stuff. I plan on ordering a travel bottle soon and will try the cleanser bar of soap. I have way too many beauty products and if I can streamline all of this to just a bar of soap and the serum then it is a win. My skin has never looked better after using this. Just hoping the bottle does in fact last 3 months. Don’t hesitate to make this purchase if you are on the fence! DRY SKIN LIFE SAVER! That’s all. This serum is now my new standard in hydrating and moisturizing my face. I have used high end products like Clarins, Shiseido, and Amorepacific since I was a little girl and while they all have great moisturizers, none of them seem to help shrink my pores or eliminate fine lines. As I’ve just hit 29, I kept wondering if I was going to need to buy a super high end, anti-aging cream every 6 months, not knowing if it would do anything but moisturize. I’ve heard about this new trend of using oils rather than a cream to deeply hydrate skin, but most oils are too heavy to wear. This serum is great as it leaves the skin extremely supple, improves elasticity, and my fine lines have been pretty much eliminated. I also noticed I didn’t need eye cream anymore as it is safe to use around the eyes and it has remove any fine lines around them as well. Highly recommend this for those who have dry skin and are approaching or well into their 30s+. I also use their face scrub once a week and I love that it doesn’t have unnecessary plasticky beads and weird gel, leaving my skin clean and rejuvenated every time. I love Roots!! I’m in my late 50’s and discovered you through a friend who has recently converted over to green beauty products. I’ve used face creams my whole life and I must admit that the thought of a face oil was a little frightening at first. After seeing my girlfriend’s skin transform almost instantly I had to give you a try. My results have been amazing! The serum is extremely hydrating and every morning I wake up my skin is more plump than before. Truly an amazing product! PS: I love the personal touch you put in my order. Thank you Gigja and Root Science Team! This serum is absolutely fabulous! My skin is amazing after just a few weeks of using TRC! Even my husband asked me if I had done something different, having no clue that I had changed my skin routine, complimenting me on how smooth and fresh my skin looked! I’m truly impressed with the results and can not wait to see how my skin looks after longer use!